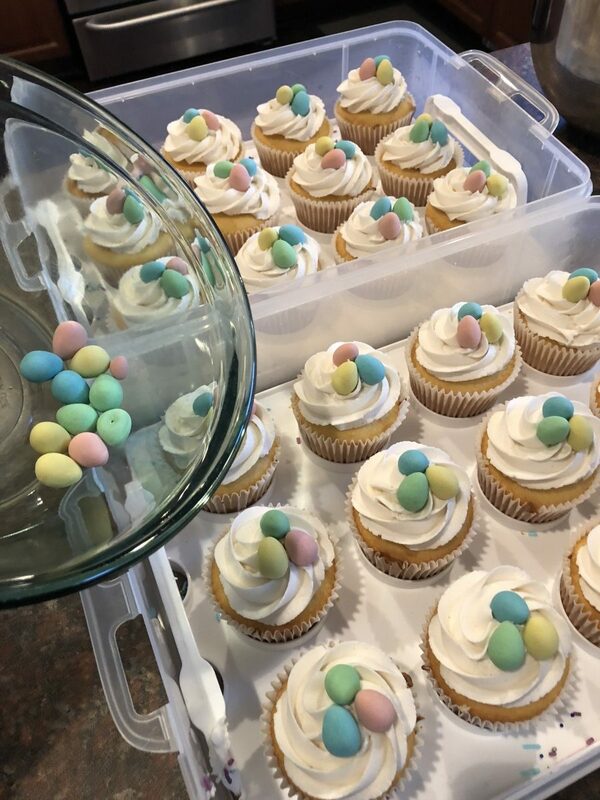 Some fun Easter themed treats were happening at my house this week. In fact, they went over so well, that I made them twice. Once for sharing at our local dog show (with the humans, not the dogs). And then yesterday, my daughter and I dropped off a cool two dozen at our vet’s office because they are amazing. 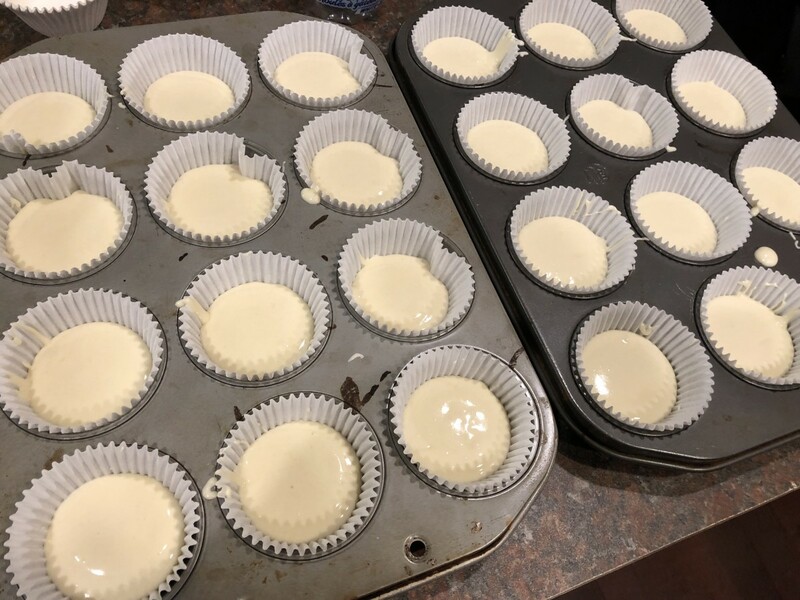 I started with a basic vanilla cake base and baked up my cupcakes as usual. 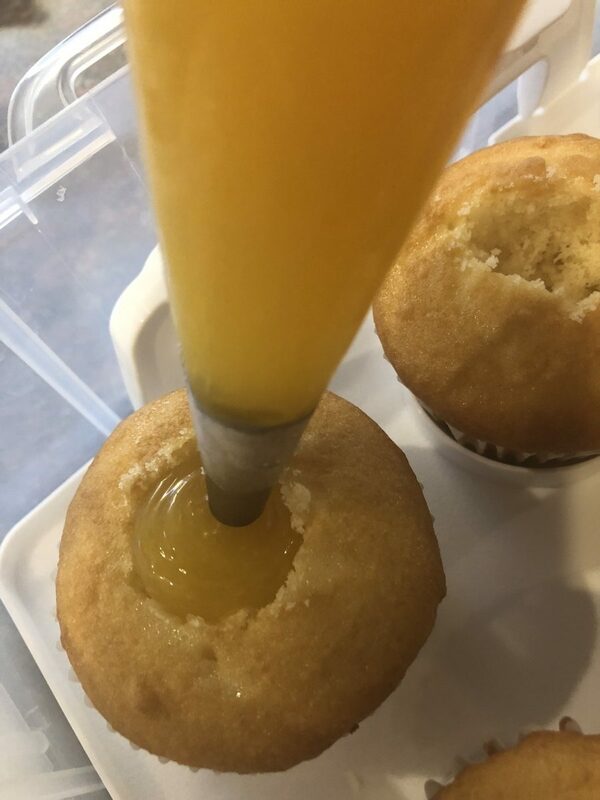 One of the tips with making sure you don’t over flow your cupcake tin is to portion out your cake batter using a cookie scoop. I know that to make my cupcake pan be just a scant 3/4 full, I need two and a bit scoops per liner. 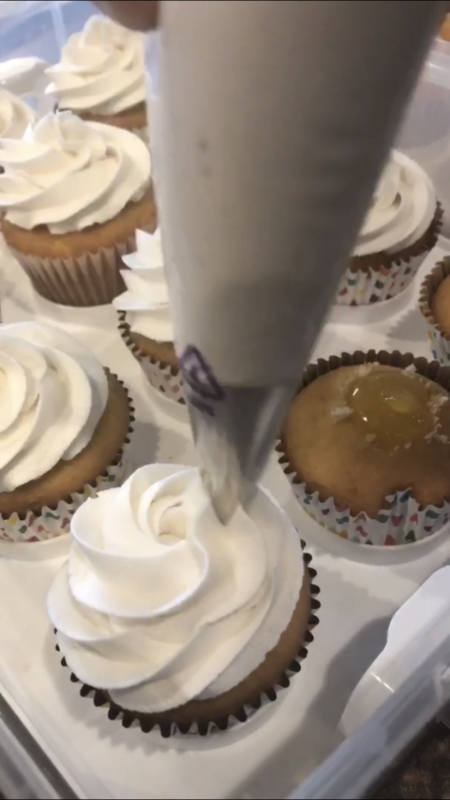 When these bake up they rise so they are just flush with the top of the cupcake liner which is the perfect base for icing and everything else they get decorated with. Homemade lemon curd is the little surprise in each of these cupcakes. I used a dairy free recipe which you can find here. I love that you blend it all in your Vitamix first and then thicken on the stove. 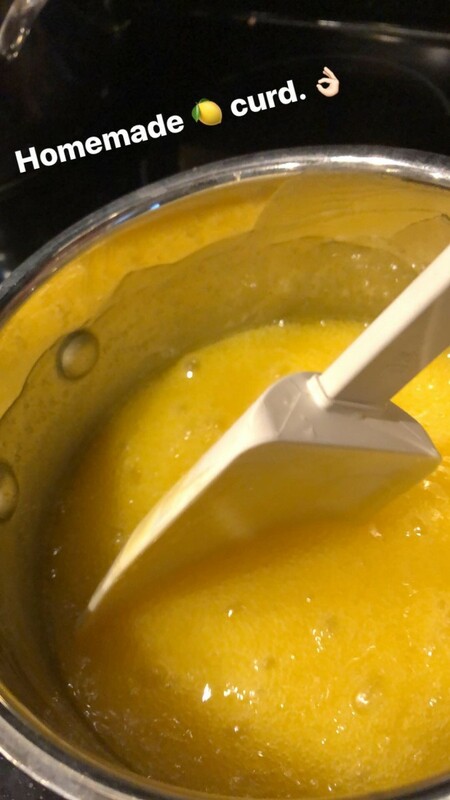 This reduces the chance of cooking the egg and getting those horrible eggy bits which will ruin your lemon curd. 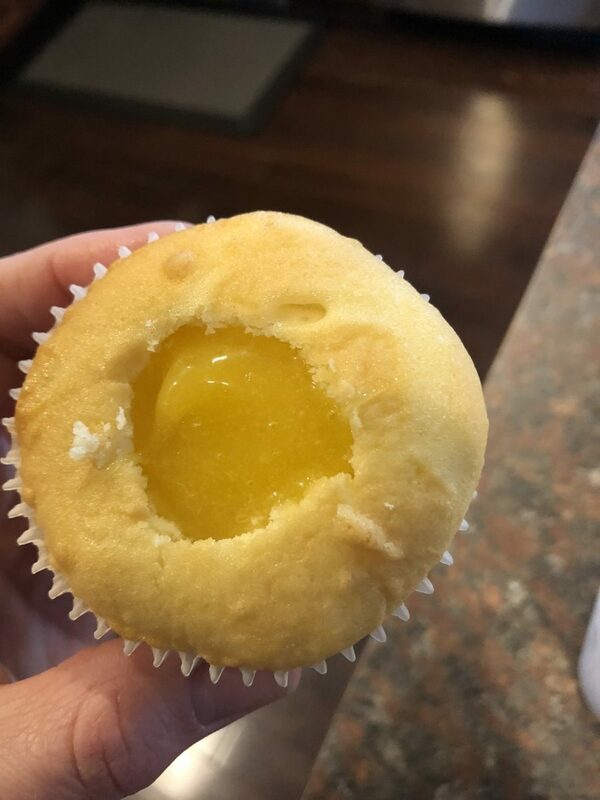 I made space in each cupcake for the lemon curd by using a grapefruit spoon (I knew there was a use for that utensil – ha!). These spoons have little serrated edges on them and were the perfect little scoop to make a divot in each cupcake. The Buttercream recipe is my standard go-to buttercream. 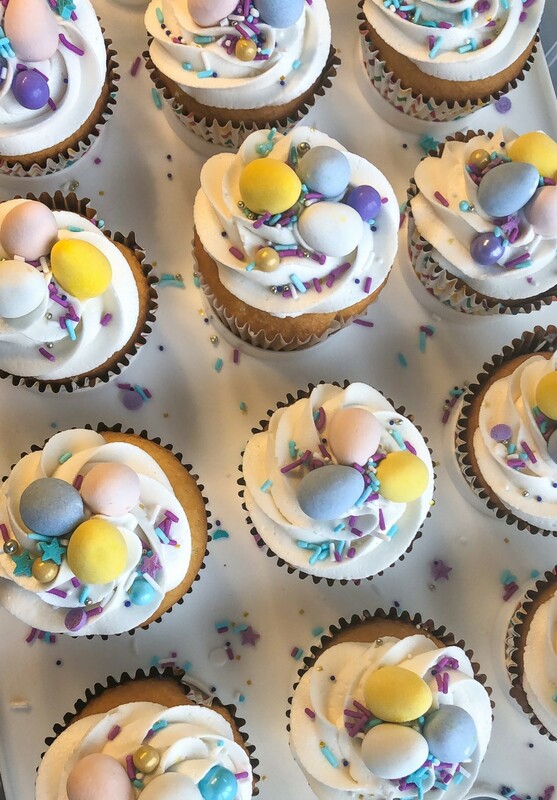 Finally… the finishing touches – Cadbury mini eggs and sprinkles! These cupcakes got rave reviews. 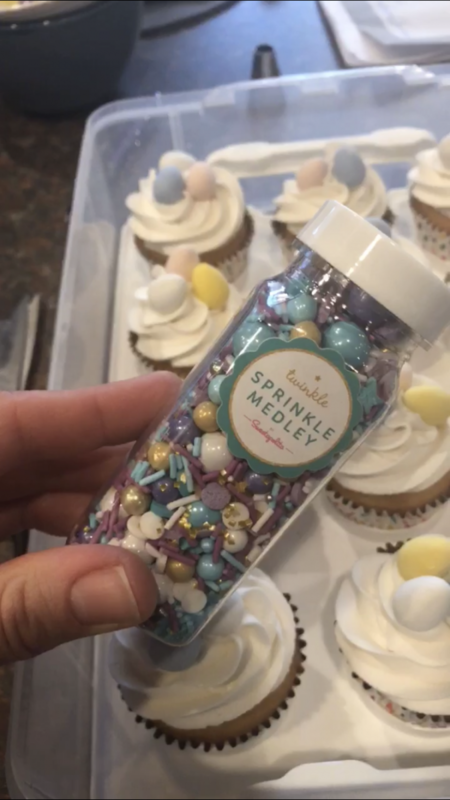 And I’m becoming a sprinkle addict. Are you making anything for Easter this year? Dinner? Dessert? What’s your go-to Easter recipe?